since their first live performance on national tv in norway in 2011, they have impressed the norwegian audience and accomplished a lot as a band. 5/6 - Gaffa-: " Østkantvestkystpunkerne leverer igjen." 10/10 - Musikknyheter-: ...leverer frisk og fengende norsk punkrock til folket." During these three years, Oslo Ess has released 5 radio-hits, Set a national record in most shows played in a year (200), been nominated for a Norwegian Grammy and hit #1 on the national sales charts. Oslo Ess finally enjoys the success from all their hard work, having well earned a spot high up on the list over the most successful rock bands from Norway. «Alle Hjerter Deler Seg» is a record that take Oslo Ess back to their roots; true Punk. The album does not only contain new tracks, written and composed on different hotel rooms, studios and tour-busses the past year, but also tracks from the first days as a band. A time when the creativity was in great bloom in between the concrete walls of various rehearsal rooms and bomb shelters located on the worst parts of their beloved hometown Oslo. “We included a couple of tracks from the bands very beginning in 2007-08, and a track from Peter’s and mine’s old punk-band “Upstrokes”. These are tracks that have been haunting us during the writing process ever since, we’ve never been able to put them away for good. It finally felt right to record them properly and release them on the new record. The opening track on the album, the somewhat nihilistic bomb “Stormen” (Eng. : the storm) for example, is written in the same period as the track “Kakerlakkene” (Eng. : the cockroaches) from our previous record. Whilst “Brenn Byen Ned” (Eng. : burn the city down) is even older.” says Åsmund Lande (vocals and guitar). The album was recorded in idyllic surroundings at Ocean Sound Recordings in Giske, Norway with Nick Terry, and in Parachute Studios in Oslo with help from Roar Nilsen (The Cumshots) and Bjarte Lund Rolland (Kvelertak). 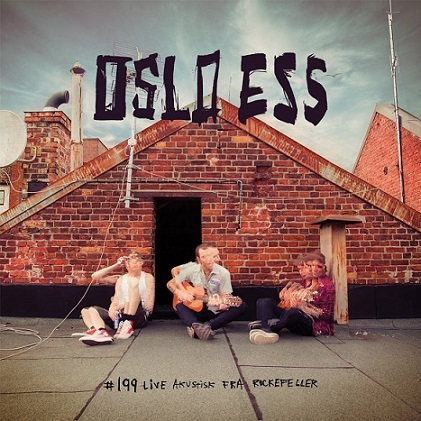 The third record from Oslo Ess is fierce and tough at times, tight from the beginning ‘til the end – in accordance with the core of their music – and with the characteristic Oslo Ess-elements like catchy choruses, melodic guitar-riffs and mischievous lyrics that together define “Alle Hjerter Deler Seg”.